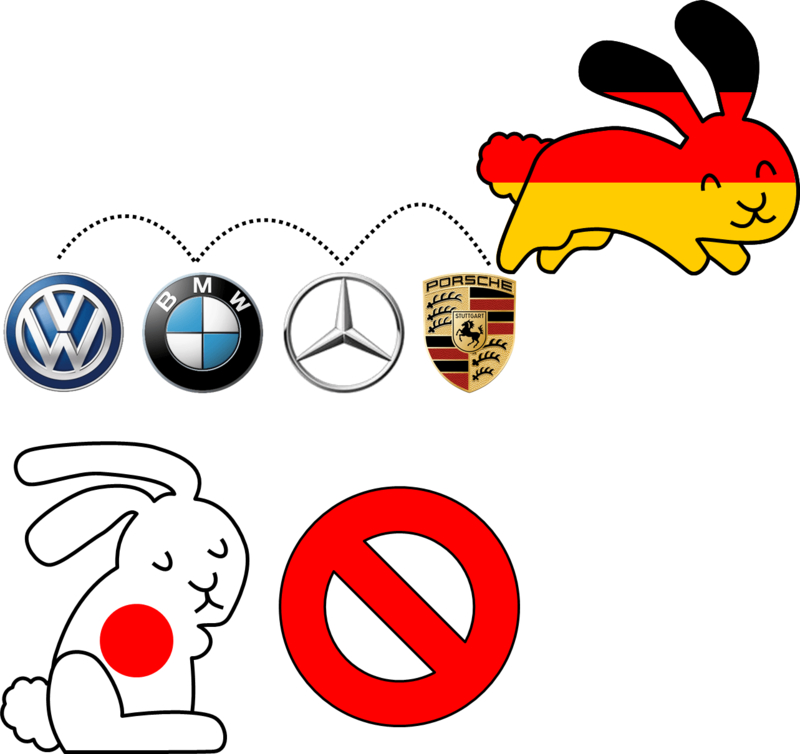 illustration using a bunny for job hopping in Germany and the lack thereof in japan. Logos trademarked by the respective companies. hence I am not sure what copyright applies here. I have no problems if you use the image (please credit me), but please be aware of the trademarked content.